Did you make it out to the 2017 Dublin Irish Festival? Maybe you saw Jonathan and Samantha Reardon celebrating their wedding day with a Dublin Irish Festival reception! The Dublin Irish Festival is all about bringing together the community through Irish music, dance, culture and tradition. So for the true Irish enthusiast, there is no better place to host one of the biggest day’s of your life! We recently caught up with the couple to hear more about their wedding day and some true “love” of the Irish. Check out some of the inside details we got and see some photos from their one-of-a-kind wedding! 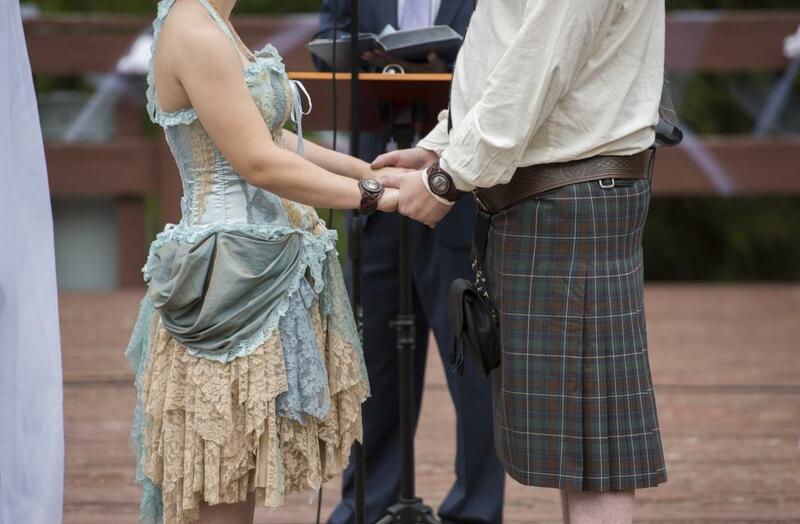 They started their wedding day with an Irish influenced ceremony at Dublin’s Scioto Park. The perfect Dublin Summer day was the ultimate back drop for their one-of-a-kind celebration. 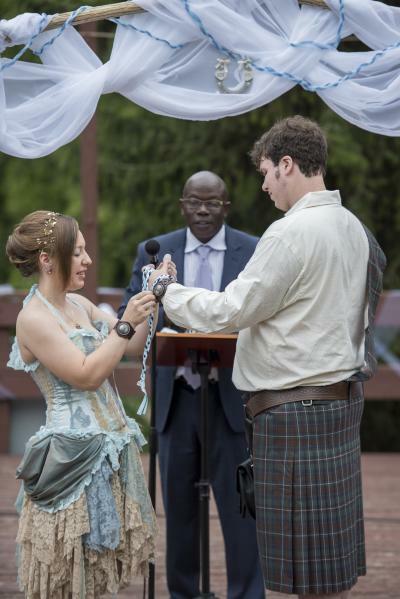 The bride dressed in Irish colors and the groom sported a county tartan kilt as they tied a knot to symbolize their marriage union. After (literally) tying the knot, the newlyweds head over to Coffman Park to kick off their married life the best way the knew how – at the world’s largest 3-day Irish Festival! The new Mr. and Mrs. Reardon enjoyed VIP access at the festival, as they got behind the scenes access to nearly everything and let the stress of wedding planning go. 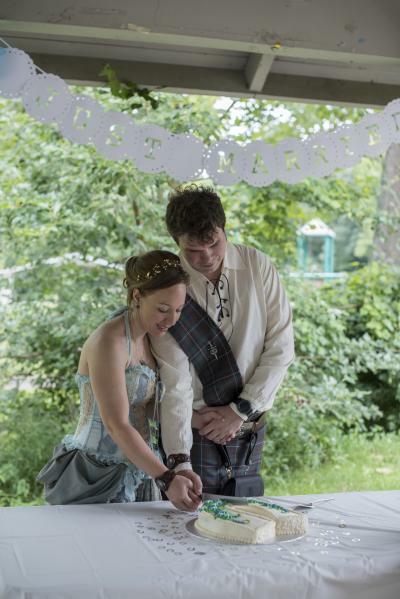 The couple incorporated even more Irish tradition into their post-nuptials after their ceremony by doing an Irish “honey moon” together – the bride and groom drink a honey mead together every night until the full moon after their wedding! Irish tradition says that this delicate yet potent drink is the best way to ensure a good beginning to a new marriage. 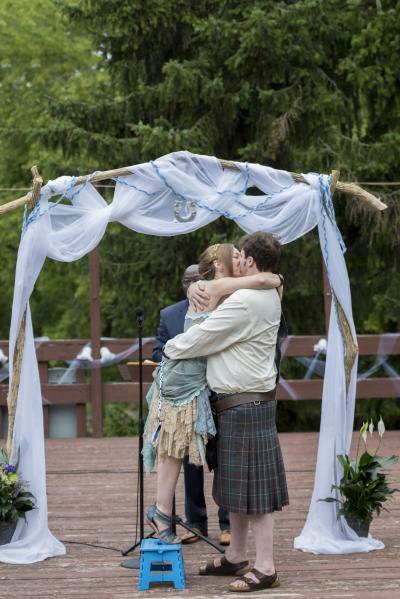 Ultimately, this couple stayed true to their own, Irish style and loved every minute of their Celtic celebration! Jonathan and Samantha will be celebrating their first year of marriage together at, you guessed it, the 31st Annual Dublin Irish Festival! The couple plans to get VIP Celtic Rock Club tickets and enjoy the day together. 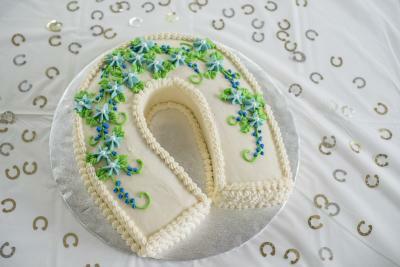 Want to incorporate some Irish tradition into your upcoming nuptials? 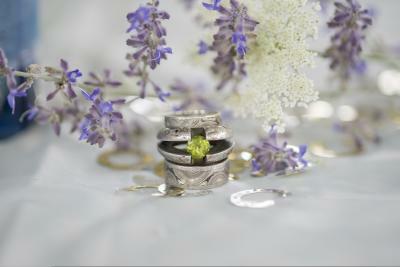 Check out our Irish Wedding Traditions blog. Photography by Exact Moments Photography.